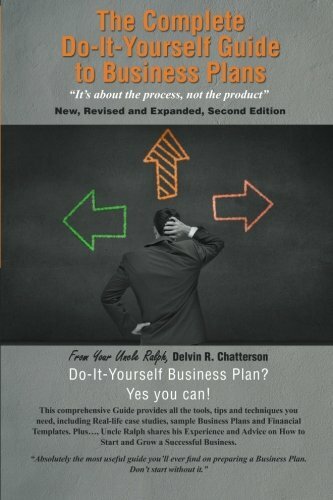 about this book: All the tools, tips and techniques you need to prepare a Business Plan that gets the results you want! YES, you can do it yourself! I have spent more than 20 years writing and revising business plans to deliver results and they are always better with the entrepreneurs own input. Don't hire a consultant (not even me!). Buy the book and do it yourself. The bank and your future partners, investors and employees want to know what you have in mind, not what some outsider told you to say. Remember "It's about the process, not the product." You do NOT need another boring document to put on the shelf. You DO NEED a process for testing your idea as a feasible business, then developing a strategic plan for financing, start-up and managing sustainable, profitable growth. This book tells you how. You will learn what to put in and what to leave out; what to say and what not to say; how to present your plan to different audiences and sources of financing; how to test feasibility and break-even sales. In the process you will learn if have what it takes to succeed, before you even start. The Complete Do-It Yourself Guide to Business Plans includes Real Life Stories, Sample Business Plans, and Financial Templates. Your Uncle Ralph has the experience as an entrepreneur, consultant, coach advisor, writer and cheerleader for entrepreneurs to help you prepare a Business Plan that gets you the results that you want.